James (Jim) Arthur Wagner, 78, of Hartsville, passed away Tuesday, May 8, at his home. Visitation will be Friday, May 11, at Neal’s Funeral Home in Osgood, Indiana, from 10 a.m. to 2 p.m., with Funeral Services being held at 2:00 pm., also at the funeral home. Burial will follow at Saint Maurice Catholic Cemetery in Napoleon, Indiana. Jim was born March 5, 1940, in Osgood, Indiana, the son of the late Arthur and Leona Wagner. 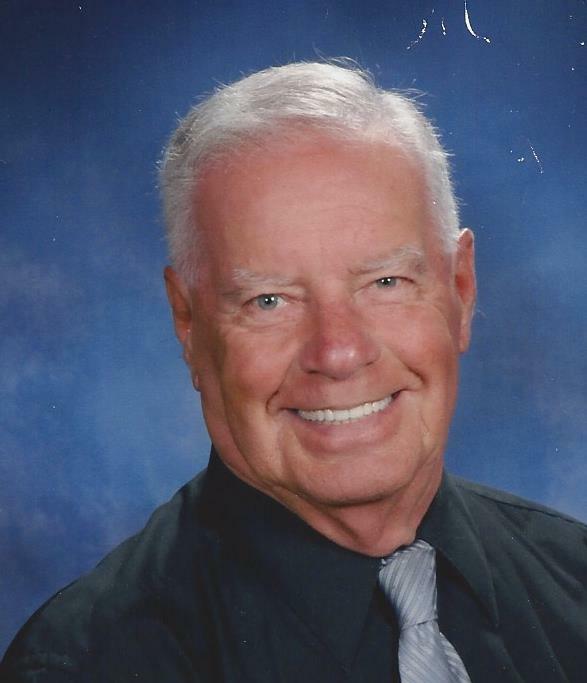 He was a graduate of Holton High School’s class of 1958. Jim married Nancy Sue Michael on July 2, 1965, and for nearly 53 years, they lived with love, kindness, patience, and a sense of humor while raising two children, Michael and Christy. Jim spent the bulk of his career at Cummins, retiring after 38 years as a journeyman machine builder at Sytech, an experimental group that worked on advanced machine building. During his retirement, he also worked at True Value and Ace Hardware in Columbus. Jim most often could be found outside. He took pride in keeping his yard mowed and his garden free of weeds, and he could spend hours in his workshop, building or repairing just about anything. He played softball for more than 15 years on 40-, 50-, and 60-and-over leagues in both Columbus and Shelbyville. While his son Mike was a Boy Scout, Jim was active in his troop, going on camping trips and helping with troop activities. He also was a Master Mason and a member of Masonic Lodge #150 of Hope, Indiana. Jim enjoyed traveling, packing the car in his own particular way and taking his family on vacations to nearly every contiguous state. He watched NASCAR and rooted for Tony Stewart and later Martin Truex Jr. At restaurants, he often would pick up the check for random tables as an anonymous act of kindness. He never hesitated to help a friend or neighbor. Jim was a loving husband and father and took the time to share what he knew with his children. Among very many other things, he taught them the purpose of tools and how to use them, how to work with electricity, how to check and change the oil in their cars, and how to safely and respectfully handle and shoot guns—often while shooting trap in the backyard with both kids. He taught them the value of self-reliance, of doing something right the first time, and of fixing things yourself. By example, he taught them what a strong and gentle man looked like, how to be kind and thoughtful and funny, and the importance of family. Jim didn’t ask for a lot, yet he gave freely of himself, his time, and his talents. Jim is survived by his wife Nancy; his son Michael Wagner of Evanston, Illinois, and daughter Christy Wagner and her husband Keith Graul of Fishers, Indiana; and his siblings Roger Wagner and his wife Peggy of Osgood, Indiana, Gene Wagner and his wife Joyce of Osgood, Indiana, Carole Franklin and her husband Duane of Holton, Indiana, and Ronald Joe Wagner and his wife Pearl of Westport, Indiana. Memorial contributions can be made to Our Hospice of South Central Indiana or the Bartholomew County Humane Society in care of Neal’s Funeral Home.